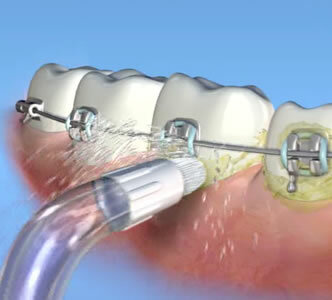 An oral irrigator, also called water flosser or dental waterjet, is a device that cleans remaining plaque and food debris between teeth and around the gum line. 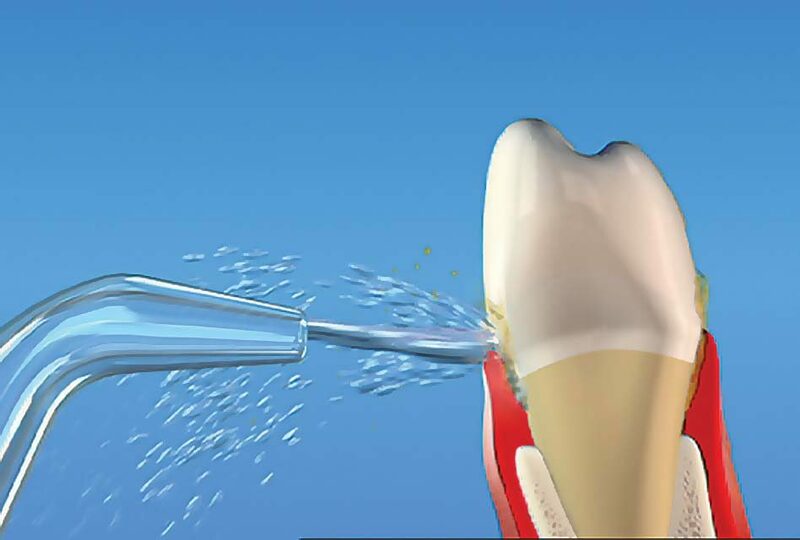 This process is achieved by using a stream of pulsating water that is released from the tip of the oral irrigator. Waterpik is the current brand name of the company that started this device and that perfected its technology over the years to improve its use for home oral care. An American dentist, Gerald Moyer, and an engineer, John Mattingly, conceived the first oral irrigator in the early 1960s. Its purpose was to help patients clean their mouths at home and improve their oral health. Throughout the years there was an evolution in the name of the product and its effectiveness in fighting gum disease. Over 50 scientific studies have shown the positive effect of the oral irrigator for home oral hygiene. It is effective with people who want to maintain the health of their gums after a periodontal treatment, but also for people who have dental implants and those who are undergoing orthodontic treatment. 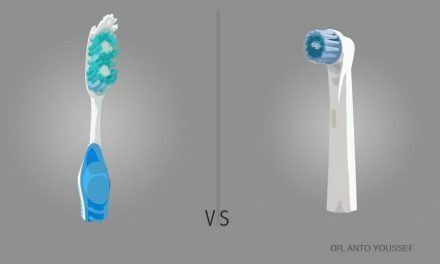 One study suggests that the Waterpik reduces plaque between teeth more than string flossing does. That same study concluded that water flossing was as effective in reducing bleeding in gums as regular flossing was. 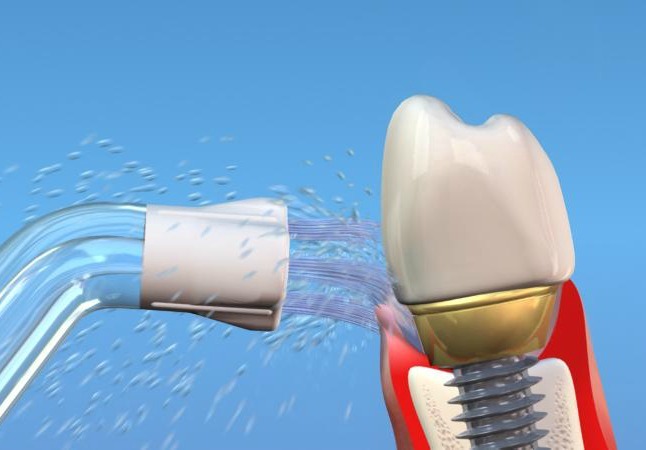 Another study suggests that Waterpik helps diabetic patients with periodontal disease. As we know today, periodontitis is an advanced gum disease that is caused by bad bacteria and their toxins, which can be found in dental plaque, and also by the immune response of a person. The study concluded that regular use of the Waterpik helped in reducing the agents causing the inflammation of the immune response. Gum disease, also called periodontal disease, is the infection and inflammation of the periodontium, which is the tissue that surrounds teeth and supports them. More precisely the periodontium comprises the cementum, the periodontal ligament, the gums and the bone. Gingivitis is the first stage of gum disease. It’s the superficial inflammation of the gums when dental plaque is not eliminated by proper oral care. It can be identified by red, bleeding and puffy gums even if there is not pain at all. But gingivitis can be cured easily when a person improves home hygiene methods. 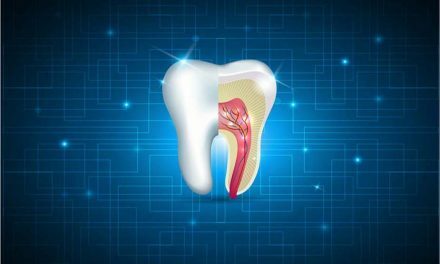 If gingivitis is not well managed, it evolves to periodontitis where the supporting bone goes down over the years until teeth start moving and eventually fall out. it reduces inflammation of periodontal disease with diabetic patients. It is possible to add a mouthwash to the water of the oral irrigator to increase its antibacterial power. Diluted chlorhexidine or essential oils (for example Listerine) can be added. But it is believed that essential oils might reduce the longevity of the oral irrigator as they may obstruct the tubes. When a patient wears braces or orthodontic appliances, hygiene becomes more challenging because dental plaque accumulates easily between teeth and orthodontic components. 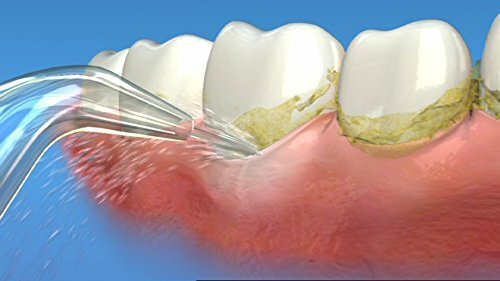 Thorough cleaning is very important to eliminate plaque. Dentists and orthodontists recommend brushing and flossing after each meal, and even use an interdental brush to clean behind wires. 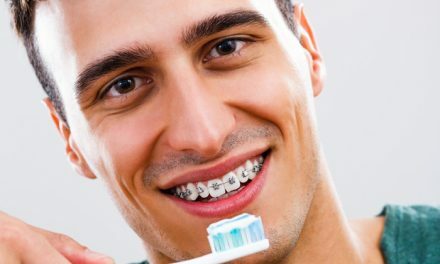 If oral hygiene is not well maintained when wearing braces or orthodontic appliances, some serious problems may arise: gum disease and decalcification of the enamel, which leads to cavities. 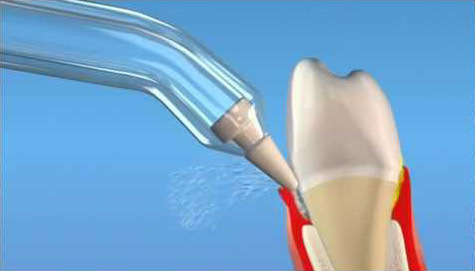 An oral irrigator has been shown to help people undergoing orthodontic treatment to achieve better oral hygiene. The Waterpik has an Orthodontic Tip designed to effectively clean plaque behind wires, around brackets and in between teeth. Dental implants are the best treatment option for replacing missing teeth. But to keep them for a long time, it’s important to regularly keep them clean. Implants cannot get cavities like real teeth, but they can have periodontal disease if plaque and tartar is not eliminated from the gums around them. After brushing dental implants at home, it’s important to remove remaining plaque with either dental floss, an interdental brush, or an oral irrigator. 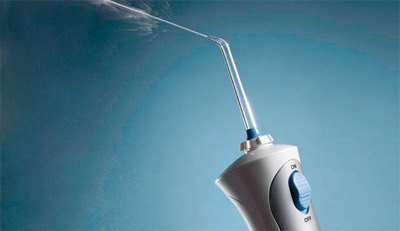 The Waterpik has a tip called the Plaque Seeker that is designed to clean implants. Teeth with other treatments such as crowns, bridges and veneers, also need good oral hygiene to prevent decay and gum disease. Using an oral irrigator right after tooth brushing can help maintain those teeth healthy, just like teeth with no treatment at all, in order to eliminate dental plaque and food debris from around and in between them. Waterpik (Easier Flossing of Dental Braces & Orthodontics for Adults, Teens, and Kids). How to have a beautiful smile? I am interested in using the image of a dental pik : https://www.studiodentaire.com/images/waterpik-device.jpg Is this photo in the public domain? If you took the photo yourself, can i get permission to use the photo in a textbook?